The White House posted an interesting Flickr set of 134 photos of the First Family taken with various world leaders at the Metropolitan Museum of Art. I thought I’d have a little fun with it. Here’s all the photos, in sequence, with the President roughly aligned. It must be tough holding that pose for so long! I made the composite with my new mosaic and compositing tool. 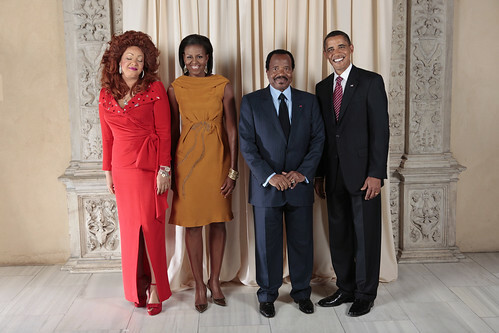 My favorite photo of the set is this one, featuring the striking Chantal Biya. Such awesome hair! 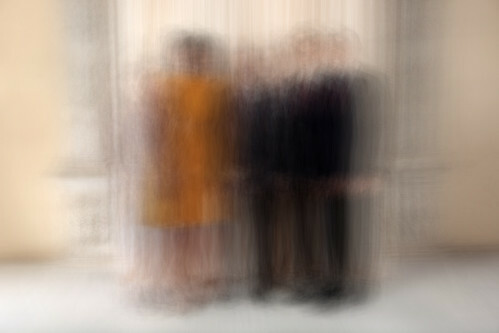 This entry was posted on Friday, September 25th, 2009 at 1:31 am	and is filed under Linkydinks. You can follow any responses to this entry through the RSS 2.0 feed. Both comments and pings are currently closed.